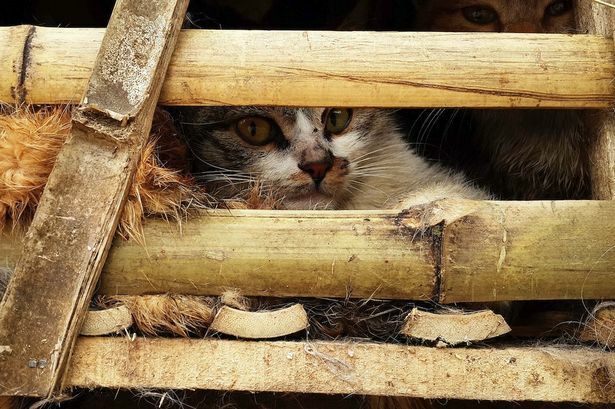 These heartbreaking pictures show thousands of cats crammed into bamboo cages moments before they were crushed to death by a dumper truck. The mass execution, which has horrified animal lovers, took place just hours after the terrified animals were rescued from the dinner table in Vietnam. 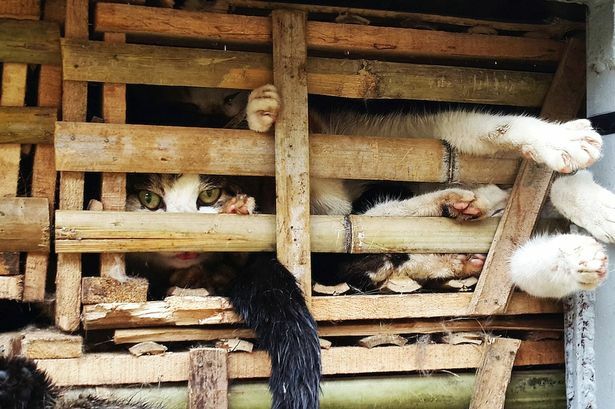 Stacked on top of one another, the crates weighed three tons and the cats were on their way to be sold to restaurants when seized in Hanoi. The petrified cats, many of them stolen pets, were smuggled from China to the Vietnamese capital where cat meat is called 'little tiger' and eaten as a delicacy. Some died in their cages in transit but most appeared to have had a lucky escape when a police officer in Hanoi's Dong Da district stopped the truck. Pictures of the cats crammed into small cages triggered a wave of offers from animal welfare groups to treat and find homes for the surviving cats. But now all of the cats, dead and alive, have been crushed while still in their bamboo cages because of fears they might spread disease. Le Duc Chinh, who investigated for the Asia Canine Protection Alliance (ACPA), said officials told him the cats had to be destroyed in case they spread disease. 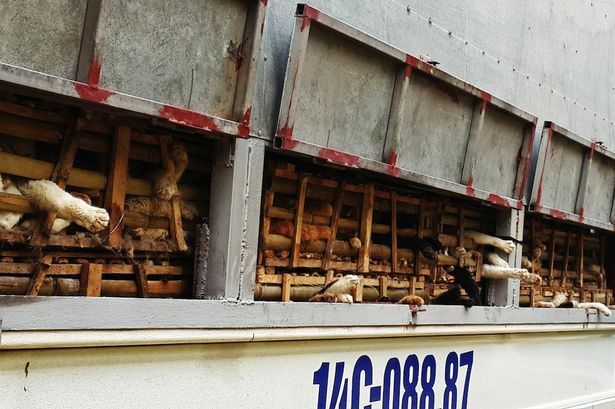 Mr Chinh said a waste treatment company was hired, and they used a truck to crush the cats before burying them in a special area, watched by police. He denied claims that some of the cats were buried alive. John Dalley works for Thailand-based Soi Dog Foundation, which led attempts to save the lives of the cats. He told the Daily Mail: "This is a particularly distressing case, not least because a number of organisations including ourselves offered to help. 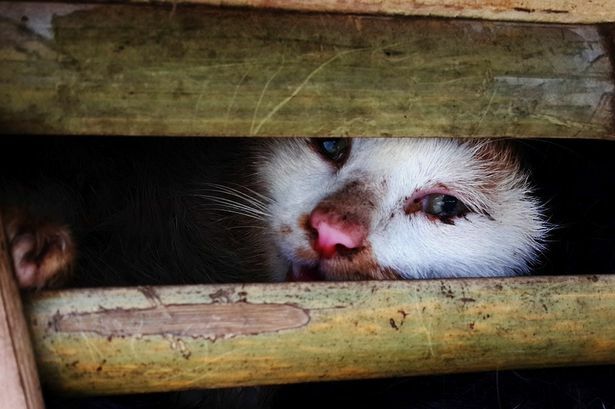 "The fact that police intercepted the cats which were bound for restaurants and slaughterhouses is commendable, but what followed is not acceptable in any civilised country." Cat meat is an illegal dish in Vietnam but restaurants serving it have boomed in popularity in Hanoi recently in part because of a crackdown on the dog meat trade.